Albury Wodonga Bandits (Elite League) landed 23-year old New Zealander ex-international forward Mitchell Newton (198-104kg-95). It is actually his comeback to Bandits as he has played here before. Newton played in the summer at Taylor Hawks in New Zealand NBL league. In 19 games he averaged 6.4ppg and 3.7rpg. Newton helped them to make it to the semifinals. The last season he played at New Zealand Breakers (also in NBL). But in two games he had just 0.5ppg. Newton won New Zealand NBL championship title in 2015. He was a member of New Zealand Senior National Team in 2015. Newton has played previously professionally in Australia (Jets). We bring you last week's top performances from New Zealanders who are playing abroad and who all have had prior experience of national team duties at youth or senior level. #1. This week's number one is former international power forward Steven Adams (213-93, college: Pittsburgh, currently plays in NBA). He could not help the Oklahoma City Thunder (49-33) in their last game. Despite Adams' very good performance the Oklahoma City Thunder (49-33) lost 99-104 on the road to the Portland Trail Blazers. He recorded 17 points and grabbed 9 rebounds in 36 minutes on the court. It's Adams' sixth season with the team. Adams has individually a very good year with high stats. He averages: 13.9ppg, 9.5rpg, 1.5apg, 1.5spg, 2FGP: 59.8%(496-829) and FT: 49.8% in 82 games he played so far. Adams played for the New Zealand senior national team eight years ago. #2. Second place goes to an experienced U18 international forward Maxwell Darling (196-0, currently plays in Croatia). He led KK Vrijednosnice Osijek to an easy victory against the tenth-ranked Alkar (7-14) crushing them 121-91 in the Croatian Premijer Liga last Sunday. Darling scored 19 points and grabbed 6 rebounds. KK Vrijednosnice Osijek (11-10) is placed sixth in the Premijer Liga. His team will play only one more game in the Regular Season. And that game will be critical. Darling's overall stats this season are: 6.0ppg, 4.2rpg, 2FGP: 66.7%(32-48), 3FGP: 45.5% and FT: 62.2%. He is in the roster of the New Zealand U18 national team. #3. The New Zealand player who performed third best last week abroad was an international forward Isaac Fotu (203-93, college: Hawaii, currently plays in Germany). Fotu managed to help Ratiopharm Ulm in a 3-point victory against the 16th-ranked Crailsheim Merlins (7-21) 82-79 in the German BBL on Thursday night. He scored only 4 points in 14 minutes. Ratiopharm Ulm (16-12) is placed sixth in the BBL. It was his team's third consecutive victory in a row. 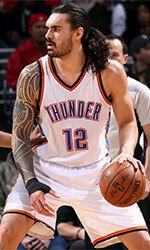 This year Fotu's overall stats are: 7.5ppg, 4.4rpg, 2FGP: 56.7%(51-90), 3FGP: 16.7% and FT: 75.5% in 19 games. He has a dual citizenship: Tongan and New Zealand. Fotu is also a member of the New Zealand senior national team. #4. Power forward Tohi Smith-Milner (206-95, college: Polk State CC, currently plays in Australia) led Kilsyth Cobras to a victory over the tenth-ranked Bendigo Braves (2-3) 100-90 in the Australian State League (second division) last Saturday. Smith-Milner was MVP of the game. He recorded 27 points (!!!) and grabbed 6 rebounds in 30 minutes. Kilsyth Cobras (4-0) are placed first in NBL1 group. So far his team won all four games in the Regular Season. But this is still an early stage of the season and everything may happen. Smith-Milner has very impressive stats this year: 17.3ppg, 8.8rpg, 2.0apg and 1.3spg in four games. He is also New Zealand national team player. #5. Former U19 international forward Brayden Inger (203-99, currently plays in Australia) contributed to Buccaneers' victory against the 13th-ranked Redbacks (2-6) 92-82 in the Australian State League (second division) in Saturday night's game. He recorded only 4 points and grabbed 6 rebounds in 25 minutes. Geraldton Buccaneers (5-1) are placed second in SBL group. It was his team's fifth consecutive victory in a row. But the season just started, so everything may happen. Inger has relatively good stats this year: 14.0ppg, 6.5rpg, 2.0apg and 1.8spg in six games. He used to play for the New Zealand U19 national team two years ago. #6. Forward James Paringatai (201-86, currently plays in Australia) is a teammate of previously mentioned Brayden Inger and both played together in the last Australian State League game. Paringatai contributed to Buccaneers' victory against the 13th-ranked Redbacks (2-6) 92-82. He recorded only 3 points. Paringatai's total stats this season are: 4.3ppg and 2.2rpg. He is a former international player as he played for the New Zealand senior team six years ago. #1. Experienced Aron Baynes (208-C-86, college: WSU, currently plays in NBA) managed to help Boston Celtics to win against the Indiana Pacers (48-34) 99-91 in the NBA in Wednesday night's game. He scored 5 points. The Boston Celtics have 49-33 record this season. Baynes' total stats this year are: 5.5ppg, 4.7rpg and 1.1apg. He has a dual citizenship: Australian and New Zealand. #2. Thomas Giles (180-G-88, currently plays in Australia). Giles could not help Norths Soul Sports Bears (5-3) to beat Crusaders (7-0). He recorded 9 points, 5 rebounds and 3 assists. But the fourth-placed Norths Soul Sports Bears (5-3) were defeated 113-107 on the road by the leading Crusaders in the WARATAH group. Giles' total stats this season are: 3.4ppg, 1.8rpg and 1.1apg. Notice: The list above includes only some of the New Zealand playing currently abroad. Go to New Zealand Abroad Page to see completed list. 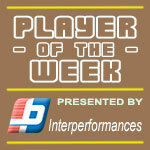 Australian Power forward Nick Kay (206-F/C-92) had an amazing evening in the last round for second-ranked Saints, receiving a Interperformances Player of the Week award for round 1. The 26-year old player had a double-double of 25 points and 11 rebounds, while his team outclassed Hawks (#4, 1-1) with 27-point margin 106-79. The game was between two of the league's top four teams. Saints is placed at 2nd position in New Zealand NBL. But it's just the very beginning of the season and Saints won just one (their first) game. It's too early to say anything as the standings can be changed completely after next round. Kay just recently signed at Saints and it was his first game, where he immediately became new team's leader. Former MSU Denver star has very solid stats this year. Kay is in league's top in points (2nd best: 25.0ppg), rebounds (2nd best: 11.0rpg) and averages impressive 92.3% FGP. The second best player in last round's games was 25-year old Australian Venkatesha Jois (203-F-93) of Rangers. Jois had a very good evening with a double-double of 26 points and 14 rebounds. Bad luck as Rangers lost that game 86-98 to Hawks (1-1). The season is still at the very beginning and this lost game may not be such crucial, of course if they start win the games. Let's wait for the next round. Jois is one of the most experienced players at Rangers and has a reputation of one of team's most reliable players. He belongs to the best scorers in the league with 25.0ppg (#3). He also registered 12.5 boards per game. Third on the list of top players last round was another Rangers' star - Nigerian center Nnanna Egwu (211-C-92). Egwu scored 18 points and grabbed eleven rebounds (!!!). Despite Egwu's great performance Rangers lost 86-98 to Hawks (1-1). But his team cannot count on just these two top stars as they also need help of the other teammates. The last thing Rangers needs is to lose another game like this one. They lose more and more distance to the top teams. Their record is 1 victory and 1 lost game. Egwu has a great season in New Zealand. After only 2 games, he made it on the list of the league's leaders in rebounds with 10.0rpg (7th best).